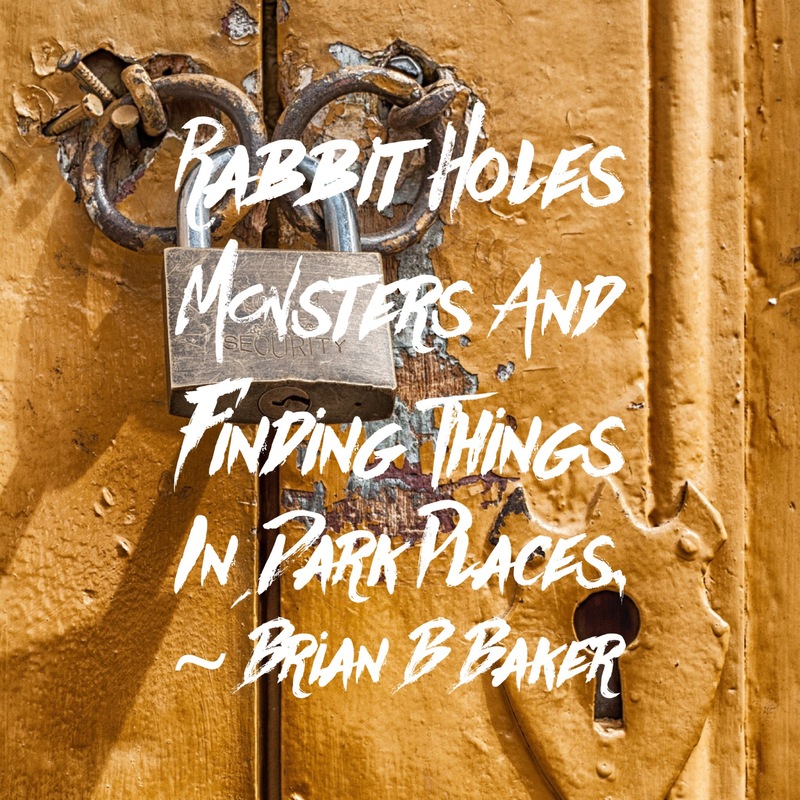 Rabbit Holes, Monsters and Finding Things In Dark Places. For a long time I’ve thought about who I am, what I want and whether I have the balls to go and get it. In those moments, thinking about who I am, I thought about the person hidden inside. The monster, because honestly we all have a little monster inside. It’s the thing that keeps us going when the darkness creeps in. What I want, well, that’s something else. I want what my life deserves, and often that’s in conflict with the perception of who I am, to others I’m perceived as this nice guy, but the monster, well, he’s not happy about that. There are moments of dissociation, not complete, but enough to know there’s something else…the rabbit hole gets bigger, but it’s also great fun to be the monster, he gets more done, he lets me feel the way I want, and sometimes, though not often, I see the world as it really is, beautiful, with glancing shadows in the brightest spots and chasms of light within the most beautiful of creatures. The rabbit hole never eats the monster, but the monster is seen licking his lips from the edge, waiting for an emergence. Who we are isn’t defined by perception, it’s defined by who we want to be, and honestly, isn’t that what really matters? Previous Post Previous post:Dump the Negative and Live The Life You Want. Next Post Asylums Are Not For The Inmates.